THE MOST BEAUTIFUL LOCATIONS ON MY TRAVEL BUCKET LIST. Up until now, I'd say 70% of my travel has been in Europe. I've travelled to India, Morocco and the United States and as from next year I'd like to start embarking on more trips further afield. 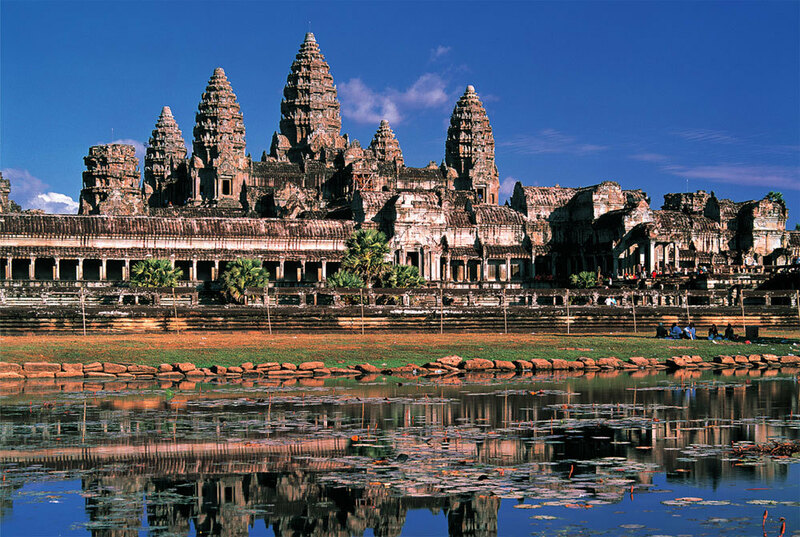 Thanks to Pinterest (and half of my Instagram friends who are currently travelling through SE Asia), I've built up quite of a bucket list of some of the most beautiful and interesting landmarks and locations I'd like to visit before I die. 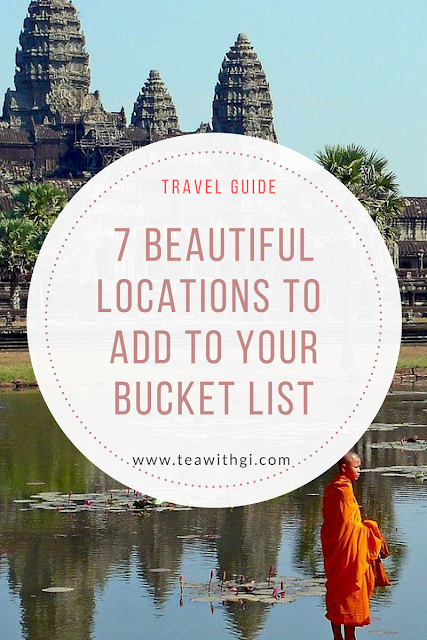 From the temples of Angkor Wat to the Gardens by The Bay in Singapore, these are some of the most beautiful places on my bucket list. GBTB is a nature park that spans over 100 hectares of land and looks like a cross between a beautiful garden and like you've been transported to the year 5050 and there are all these large things hanging above your head. 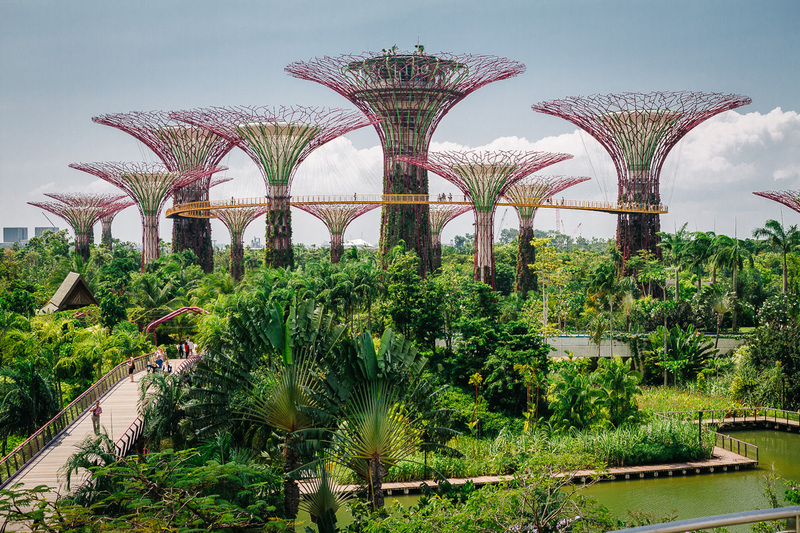 We're hoping to be spending a few days in Singapore in February and I'm very intrigued to see all of its interesting landscapes. Now this one I won't have to travel so far to get to, shame that I didn't even know this existed when I went to Amsterdam last year! 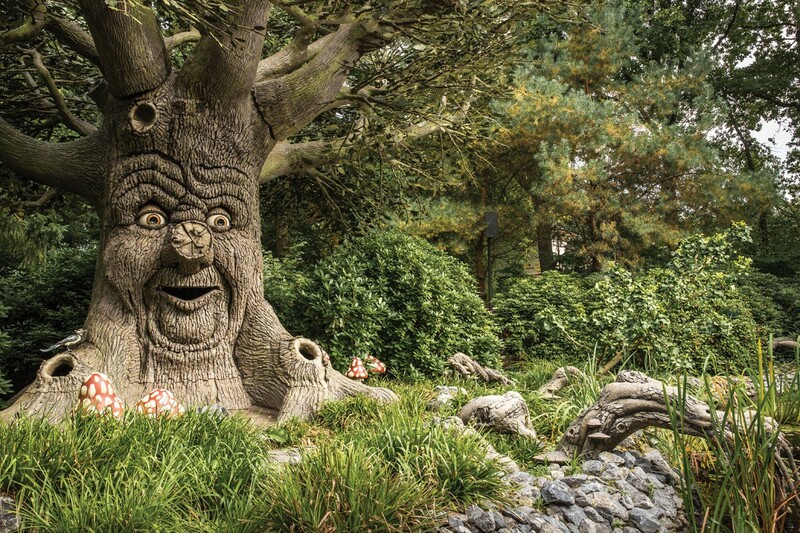 This theme park is packed with enchanting figures, rides and shows that leave you feeling like you've stepped out of Alice in Wonderland, I can only imagine what this would be like after someone has got high in dam. The park is largely inspired by the work of the Brother's Grimm and Hans Christian Andersen. 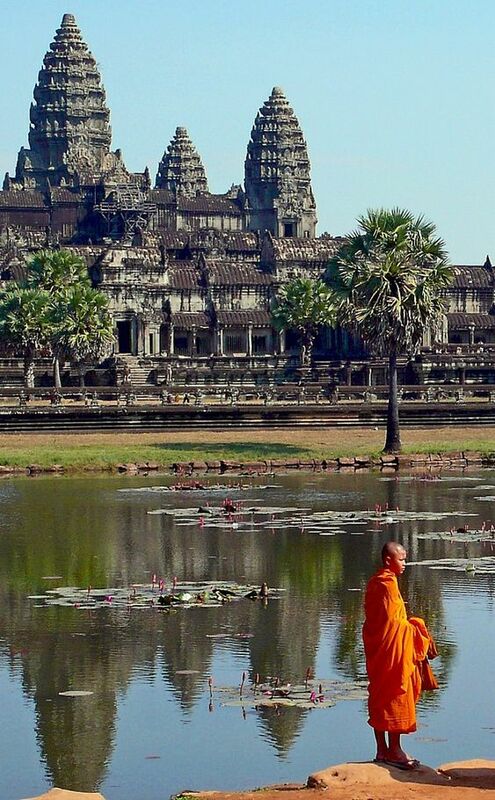 I am dying to go temple hoping in Cambodia and find myself a troop of monkeys to hang around. The level of detailing this place has and its scale are of particular interest. From the sounds of it you could do with a whole afternoon here to explore every inch of the place. This is probably an odd one on my list because I haven't actually seen most of the Lord of The Rings movies or The Hobbit. 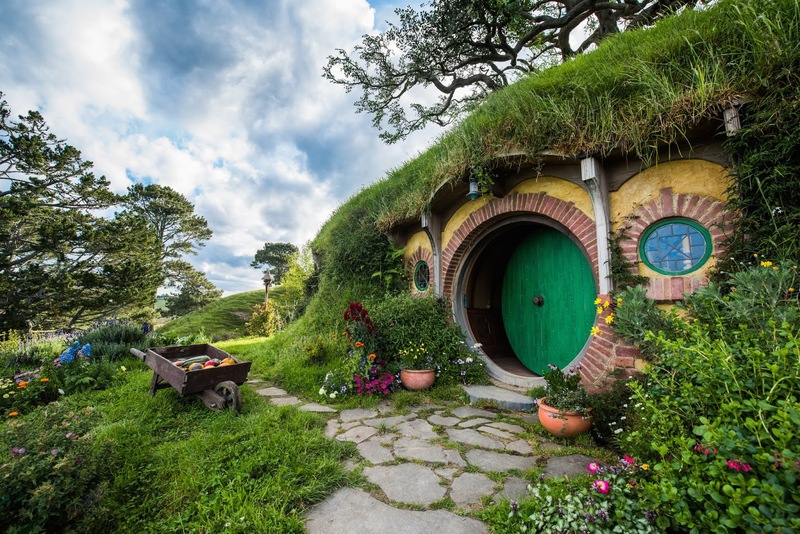 BUT, it still looks pretty damn cool and if I am going to stop by New Zealand it's probably worth visiting. Ever wanted to feel like an Ice Queen or White Witch? Then this is the place to go. Don't worry if the name seems like a mouth full as it's also referred to as 'The White Temple' (phew). 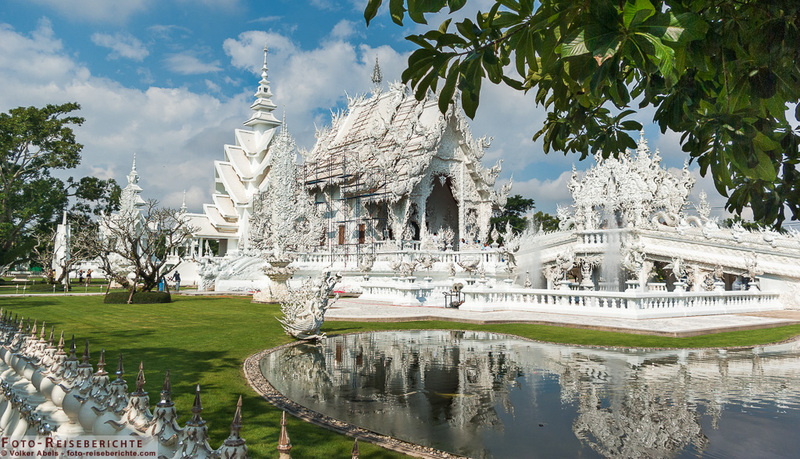 As you can probably guess, the whole temple is white and also uses pieces of glass in the plaster that shine when the light hits. The white colour embodies the purity of the Buddha, whilst the glass signifies his wisdom. THIS PLACE LOOKS AWESOME. 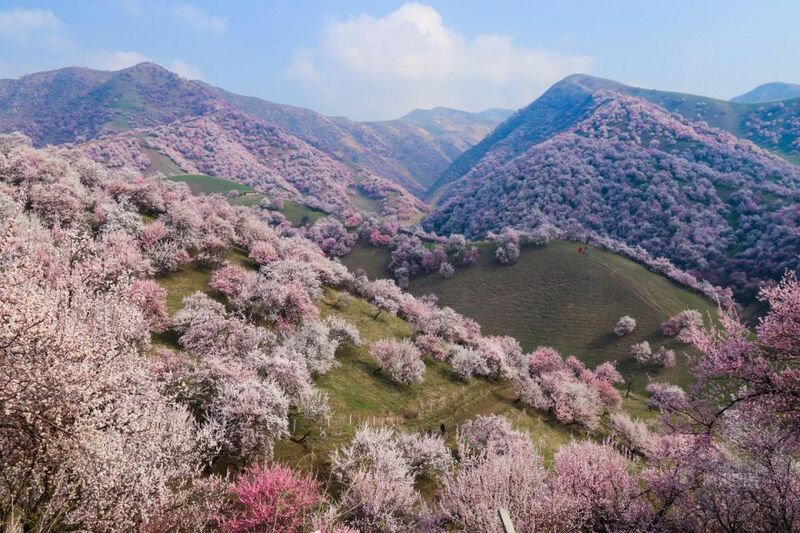 Japan is another place we have on our list for our February trip, and I hope the cherry blossoms are in full bloom at that time as this looks gorgeous and can you imagine all the shots we'd be able to get for Instagram guys? I'm sure there are lots of locations like this around Japan, Kyoto especially. I guess it would be handy to add the worlds tallest building in here. Which happens to be the Burj Khalifa in Dubai which stands at 828 metres. Although I don't actually know what goes on inside the building. Hopefully when I do visit Dubai I find 30,000 dirham in my pocket to be able to afford to stay in the 7 star Burj Al Arab so I can experience the real luxury travel to Dubai. Have you been to any of these locations, if not which one is your favourite? What cool locations are on your bucket list? *This post was written in collaboration with Destination2 but all words are my own. Oh wow, I have never been to any of these locations but don't they look stunning. 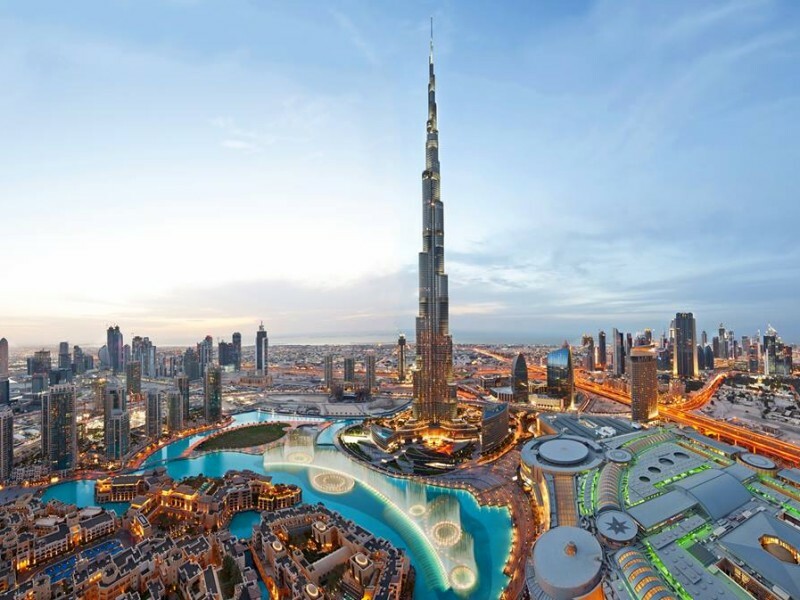 Thailand and Dubai are definitely on my list of places to visit, there's so much to see and do in each location! I'm actually planning a city break to Amsterdam at the moment so the Fairy Forest is definitely being added to my list, it's certainly be an interesting experience! I've never seen Lord of the Rings or The Hobbit either but the Hobbit village still looks worth a visit, even if just for the photo opportunities haha! I've never left Europe sadly but you've made me want to do so even more now!! A GUIDE TO A WEEKEND BREAK IN SEVILLE, SPAIN. A SUMMER OF UNDERRATED EUROPEAN MUSIC FESTIVALS. AT WHAT POINT CAN I CONSIDER MYSELF SUCCESSFUL?